isn’t Christmas a lovely time of year? some people hang a Christmas wreath on their front doors. 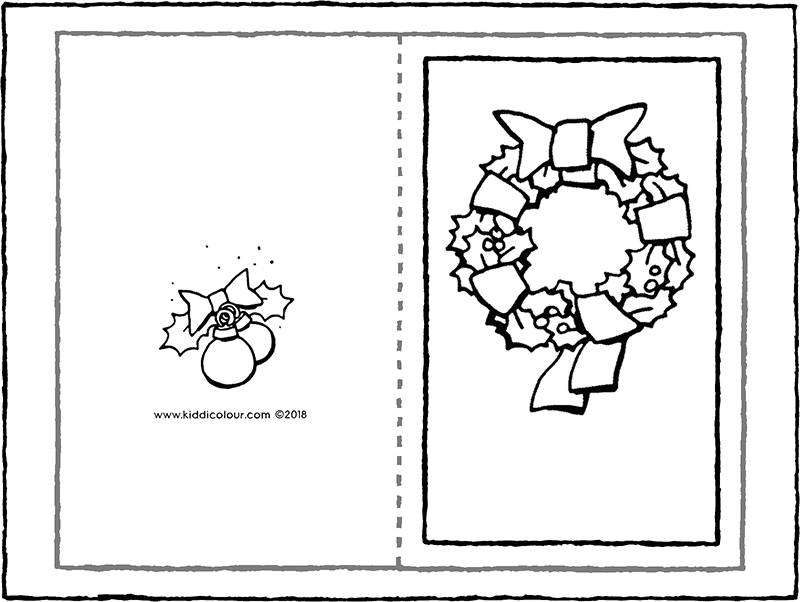 print out this Christmas card and colour the wreath in bright colours. cut out the card and fold it in half. give the card to someone who enjoys celebrating Christmas. at Christmas it’s lovely to give cards to friends and family. print out this card on strong paper. colour in the picture in festive colours. cut out the card and write a message inside. give the Christmas card to someone you love. 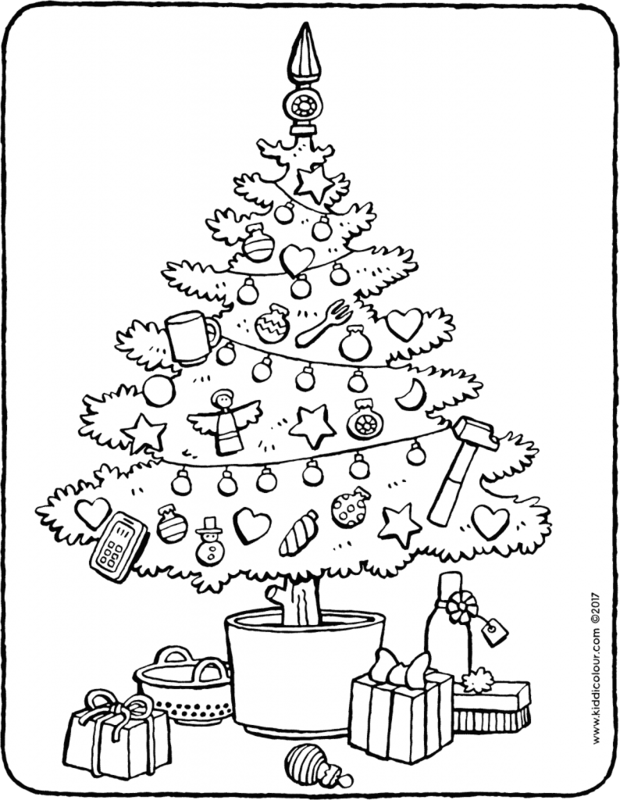 five of these objects don’t belong in and around the Christmas tree. colour in these five objects using colours that you like. give the picture to someone at school. 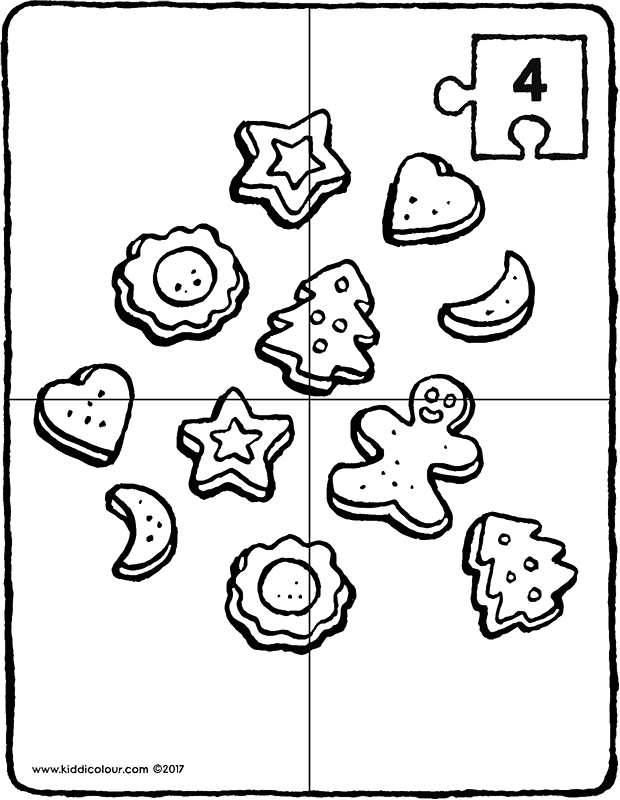 yummy Christmas biscuits for the Christmas period. 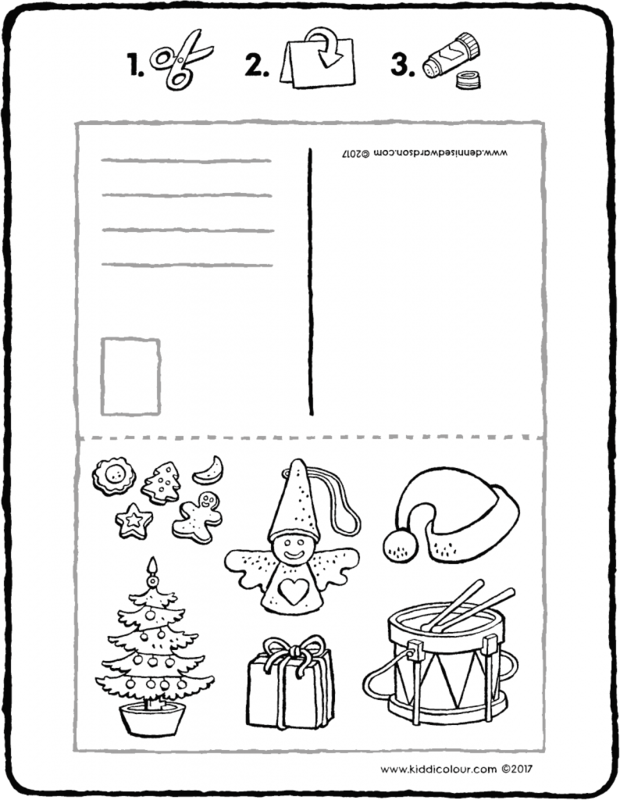 print out this colouring page on strong paper (e.g. 185g). 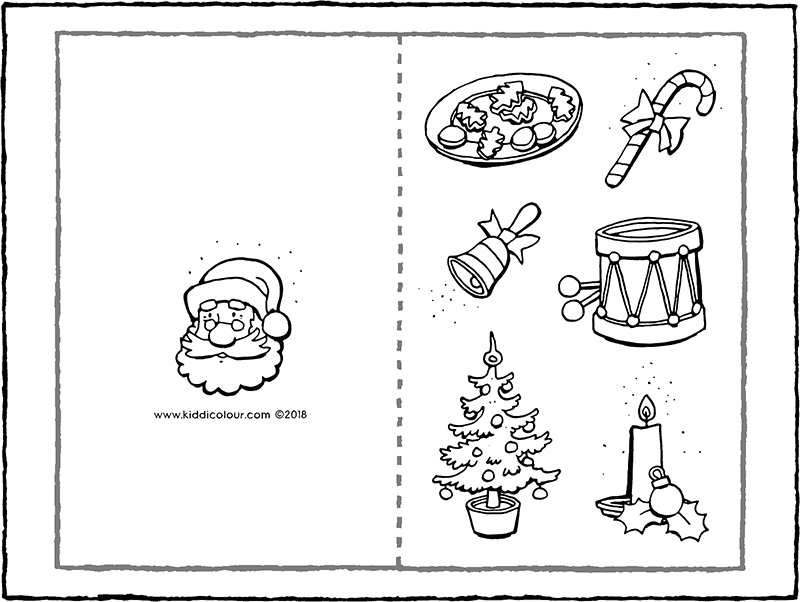 colour in the picture in Christmassy colours and cut it into 4 pieces. ting-a-ling! it’s Christmas time again. 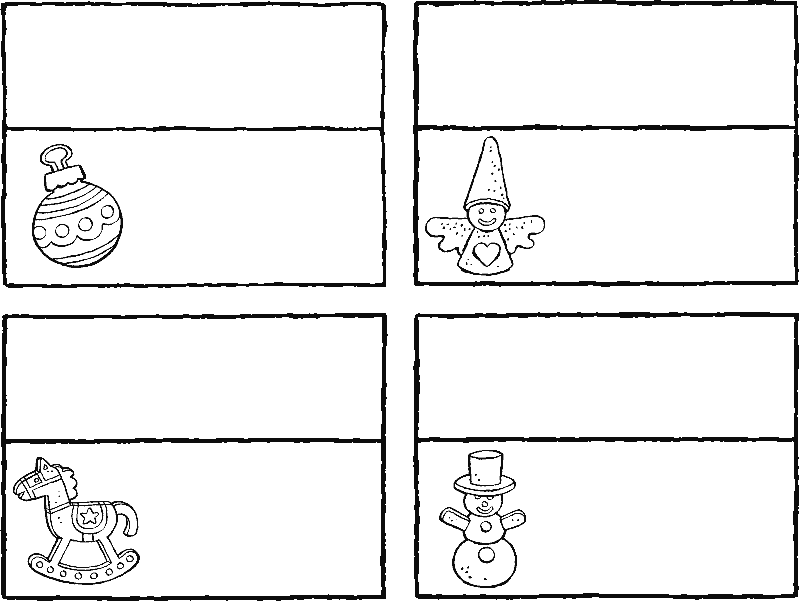 here are four name cards to put on the Christmas table. colour in the name cards and cut them out. write the names on them. fold the cards and put them on the festive table. in each row, draw a circle around the object that is different. then colour everything in using colours that you like. 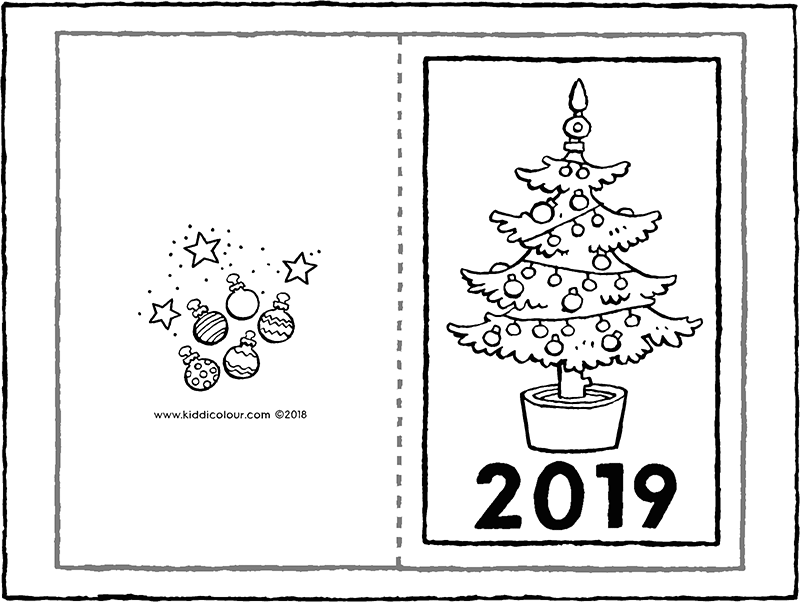 at Christmas we send Christmas cards and New Year’s cards. 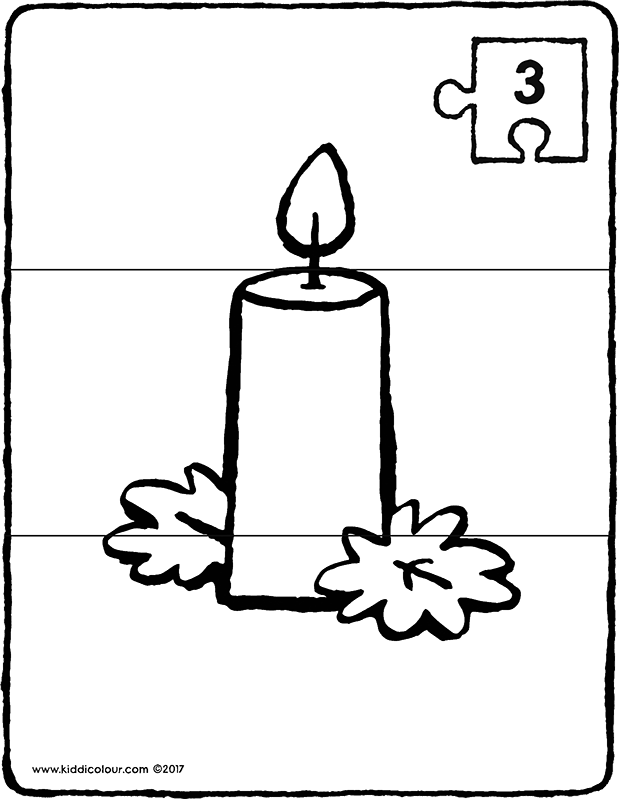 colour in the card and cut it out along the grey line. fold the New Year’s card along the dotted line. write your name on the inside and give the card to someone you love. colour in the postcard and then cut it out along the grey line. 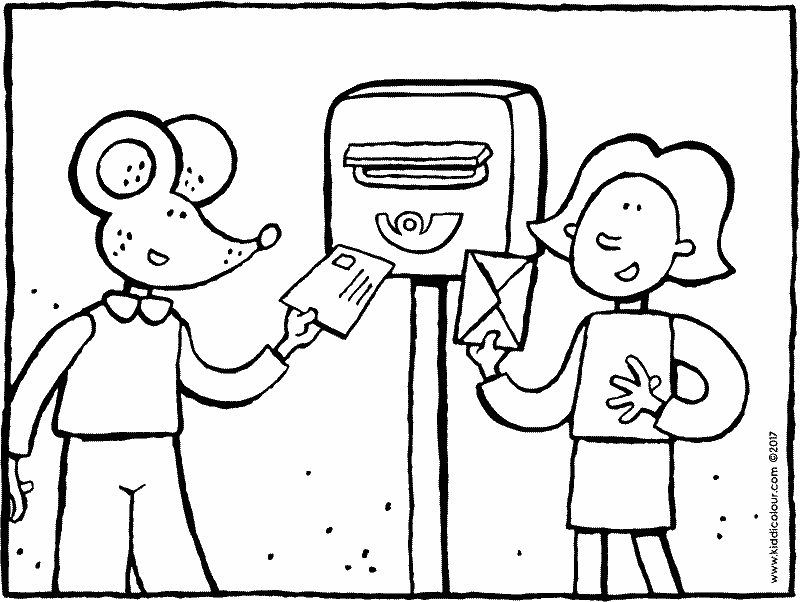 fold the postcard along the dotted line. send the postcard to your best friend. but you could also send it to Father Christmas. 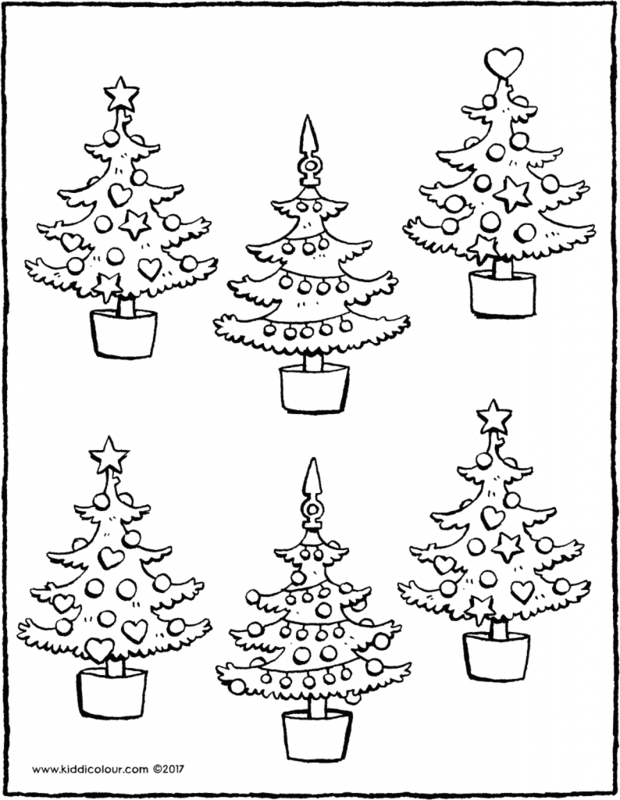 draw a circle around the two Christmas trees that are the same. 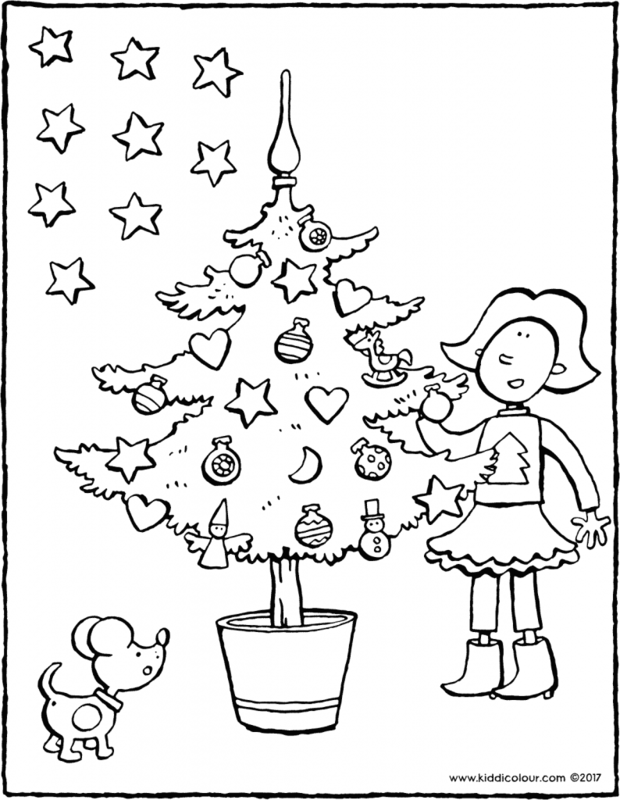 then colour in the picture in pretty colours. 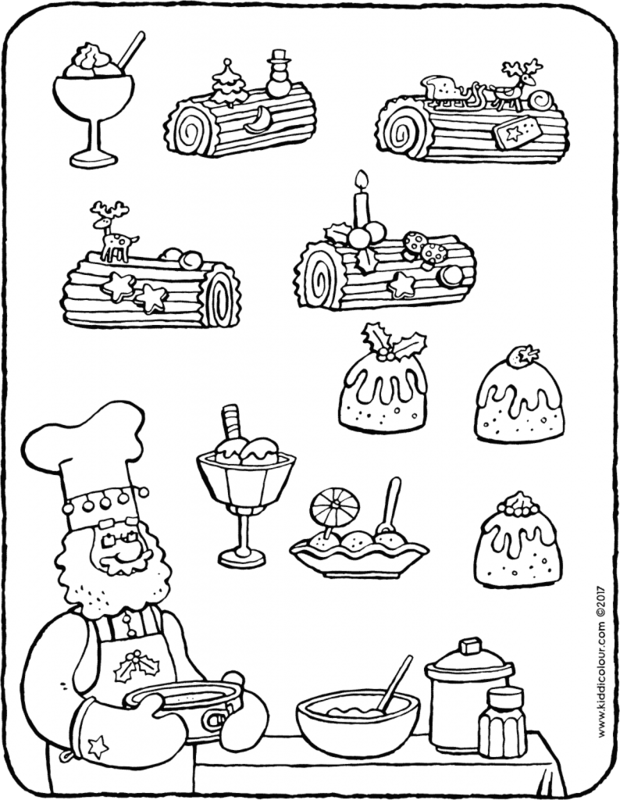 Father Christmas likes to make yummy desserts for Christmas. 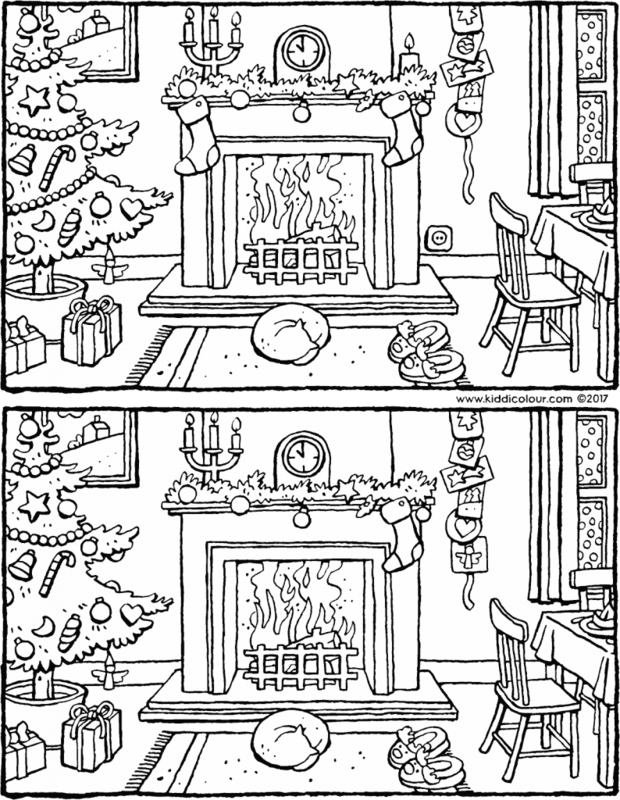 draw a red circle around the yule logs. 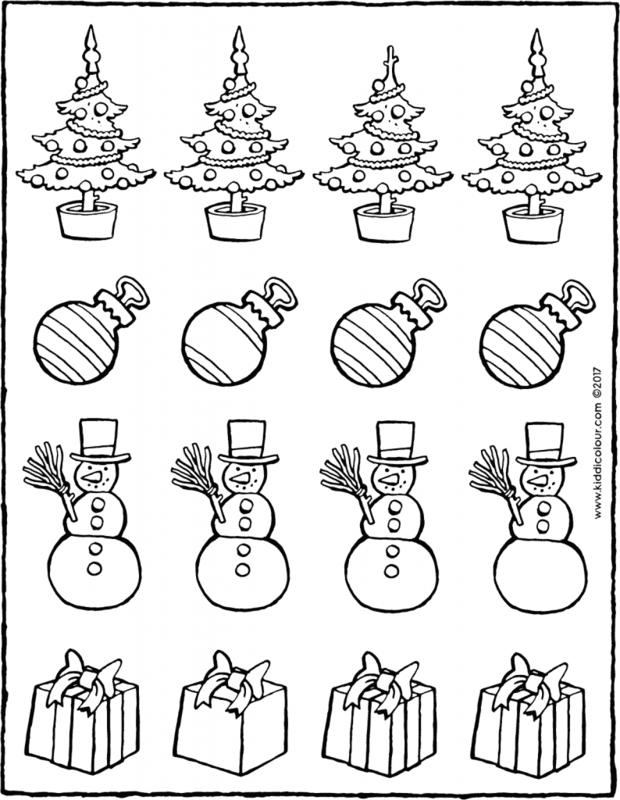 then draw a blue circle around the Christmas puddings. finally, draw a green circle around all the cakes.